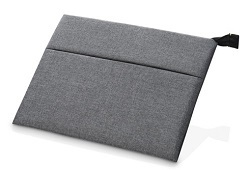 This durable sleeve safely stores your Intuos tablet, the pen and the USB cable. Ash Grey woven textile and a cotton lining. Compatible with former Intuos version.